E*Trade Financial is offering free trades and up to $600 cash credit when opening an IRA Account, whether it’s a new account or a Rollover account from other brokers. Even though it’s already 2011, but the deadline for making 2010 IRA contribution won’t come until the 2011 tax deadline, which is April 18th this year. Therefore, there are still plenty of time to contribute to all or part of the $5,000 limit allowed, if you haven’t maxed your 2010 IRA contribution yet. This promotion from E*Trade, among other IRA account promotions currently offered by brokers, provides a nice incentive if you are considering opening a new IRA account and starting to save for your retirement before the contribution deadline. This E*Trade promotional offer will allow you to receive up to $500 credit with new or existing IRAs (limited to Rollover IRAs, Traditional IRAs, Roth IRAs). The amount of credit depends on the amount of deposit made into the E*Trade IRA Account. Deposits between $25,000 and $49,999 receive $50. Since the annual contribution limit is $5,000, the best way to receive the credit is to open a Rollover IRA account and move your assets at other brokers to E*Trade so that you can meet the deposit requirements for the credit. An E*Trade IRA Account has no annual account fee and there’s no minimum to open an account (of course, if you want to get the credit, the deposit amount is much higher). 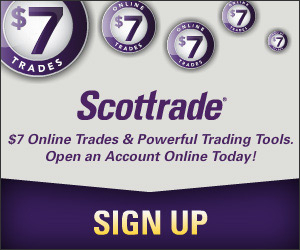 Once you have an account, you can have access to other services and products from E*Trade, including stocks and options, ETFs, over 7,600 mutual funds from top mutual fund companies, such as Vanguard, Fidelity, T. Rowe Price, etc, and more than 30,000 fixed-income securities. To get the cash credit, new funds or securities must be deposited or transferred within 45 days of new account opening.